Considering purchasing the Pioneer HDJ-X10 Headphones Silver? Have questions? Ask people who've recently bought one. Do you own the Pioneer HDJ-X10 Headphones Silver? Why not write a review based on your experience with it. Bought these as a birthday gift. Wow..amazing sound quality. Would recommend. Dj kit, speedy delivery. Thank you. Bought these & they were delivered next day...great pair of headphones. Will definitely be buying from here again. Been using my HDJ X10â€™s for a couple of weeks now, I was Umming and Erring over the price, but I love Pioneer so I knew theyâ€™d be worth it, and I definitely wasnâ€™t disappointed, they feel and look quality, the sound is excellent, even the case is great, to be honest I love everything about them, my mates that have use them are all now looking at upgrading to the x10â€™s. I highly recommend Pioneer HDJ X10 headphones, worth every penny. 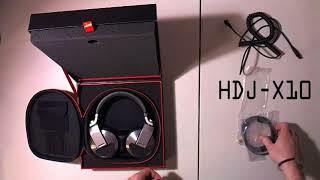 Seen a video for Pioneer HDJ-X10 Headphones Silver online or have you own video? 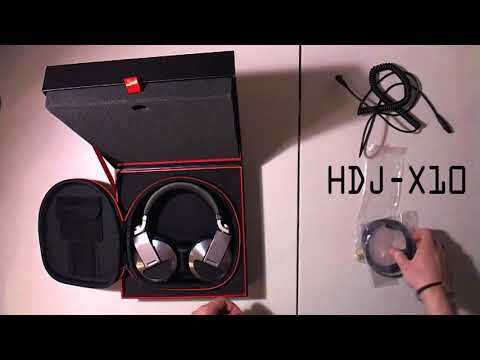 Check out Pioneer HDJ-X10 Headphones Silver on DJkit.com!